Wilkinson Street is a quaint little block in the heart of the French Quarter, situated between Chartres St. & Decatur St. just a half block from Jackson Square. The Shops at Wilkinson Row are great spots to find unique gifts, comfortable shoes, creative design, killer hair style, or a perfect spot to live. Our vibrant and diverse community offers delicious cuisines and great shopping. On Wilkinson and throughout the French Quarter, you’ll find a great hair salon, a theatre, small music halls and jazz clubs, galleries, gourmet restaurants, craft boutiques, spice stores, and many other spots that are off the beaten path. If this is your first time in New Orleans, we invite you to add Wilkinson Row to your itinerary. We believe that dining needn’t be expensive to be fine. Wilkinson Row and its surrounding streets boast some of the best farm-to-table (Sylvain's | Chef Martha Wiggins), French (Tableau | Chef John Martin), Creole (Muriel's in the Square | Chef Erik Veney), Italian (Irene's) food in New Orleans, and all at affordable prices. Those looking for a more posh vibe will be happy to know that our neighborhood also offers restaurants headed by some of the most world-renowned dining experiences like Doris Metropolitan. The French Quarter has it all—from bespoke boutiques that feature independent designers to quirky accessories stores and the French market full of one-of-a-kind finds. No matter what store you go to, you’ll find products that you couldn’t get anywhere else. French Quarter nightlife is unrivalled. You can watch the latest game while you enjoy locally crafted beers or distilled spirits. If cocktails are your preferred poison, mixology establishments are easily found throughout the Vieux Carre. 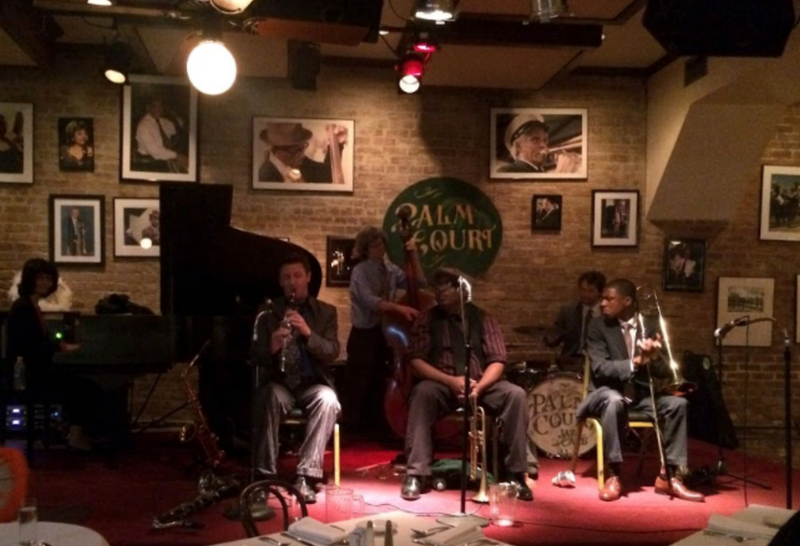 Whether you’re looking for an intimate jazz club, large music hall experience, disco with a killer DJ, or eclectic music festival, New Orleans has it. Some of the most fun and innovative bands, artists, and musicians flock to our district for its creative energy and diverse music scene. Take the opportunity to experience it all up close and personal. We promise you won’t regret it.